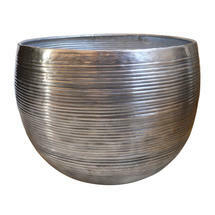 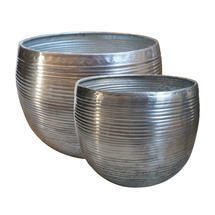 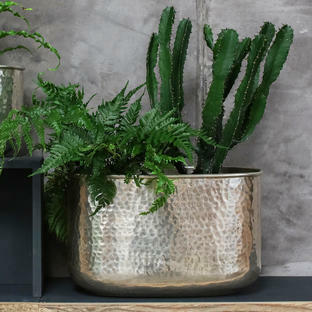 Aluminium Ribbed planters which are perfect for houseplants from ferns to grasses. 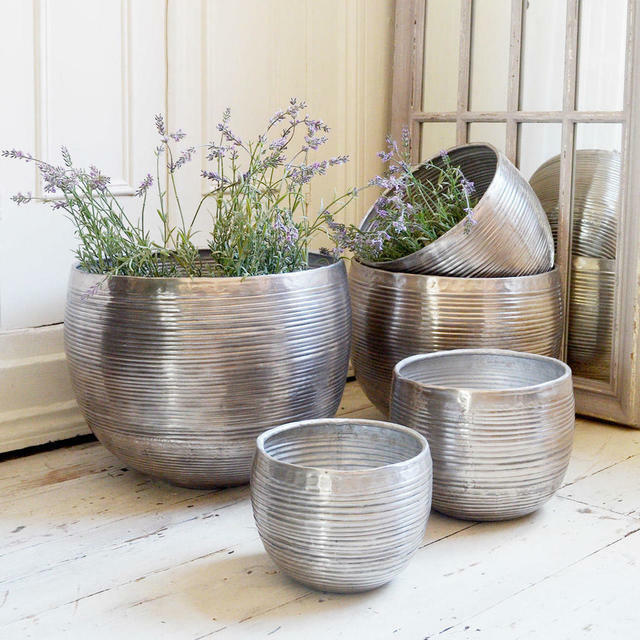 These aluminium planters have been skilfully made by artisans, fashioning the bowls from aluminium which is hammered and then shaped into curved, textural forms. 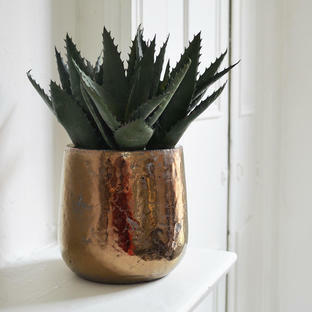 The simple, classic styling is a perfect way to home larger houseplants. 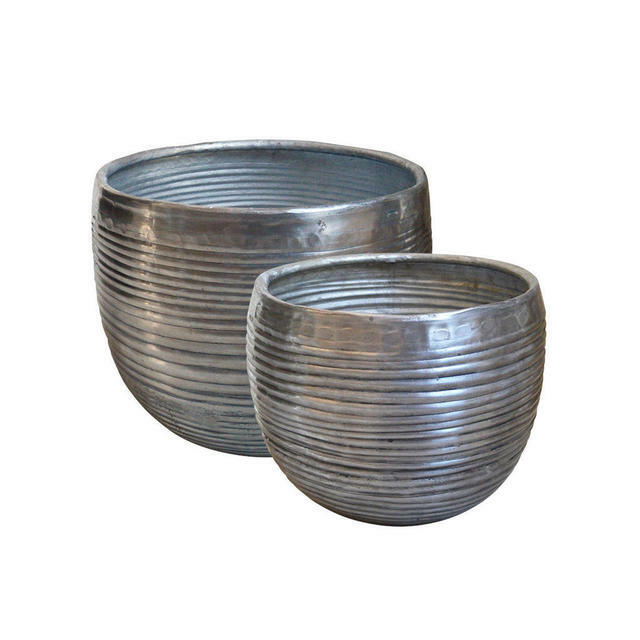 The large planter is available as a single, with the smaller sizes as elegant pairs of two, with one large and one smaller in each set. 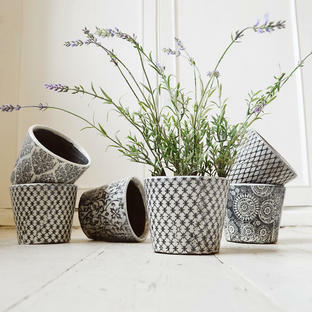 There are no drainage holes in these planters.